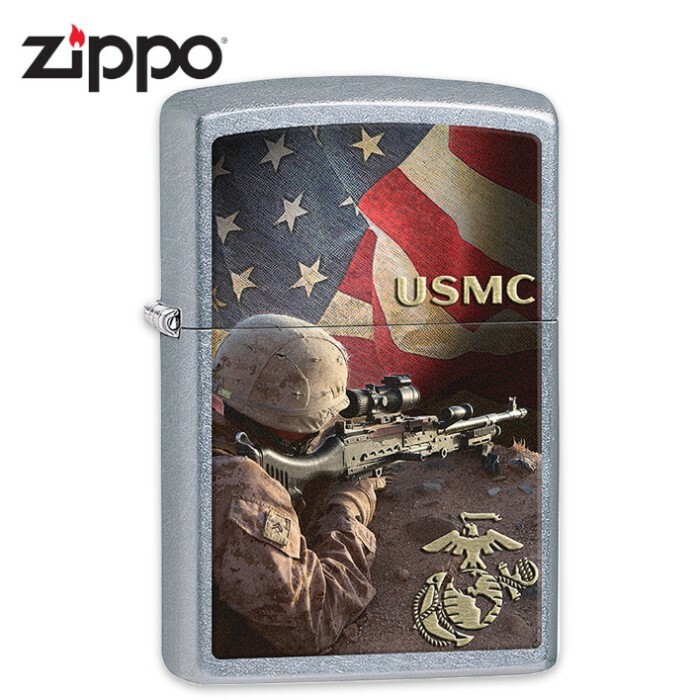 Zippo US Marines Street Chrome | BUDK.com - Knives & Swords At The Lowest Prices! You just can’t beat a Zippo when it comes to a great, high-performing and long-lasting lighter because they truly have set the bar. This Street Chrome base model features a color imaged design of a soldier atop an American flag backdrop. The design also includes the emblem of the U.S. Marines. Most importantly, this lighter provides Zippo's legendary windproof performance, guaranteed! Made in the U.S.A.